Colin Powell Endorses Obama Again : The Two-Way The former secretary of state and retired general, a Republican, also endorsed then-Sen. Barack Obama's presidential bid in 2008. "I think we ought to keep on the track that we are on," he said on CBS This Morning. 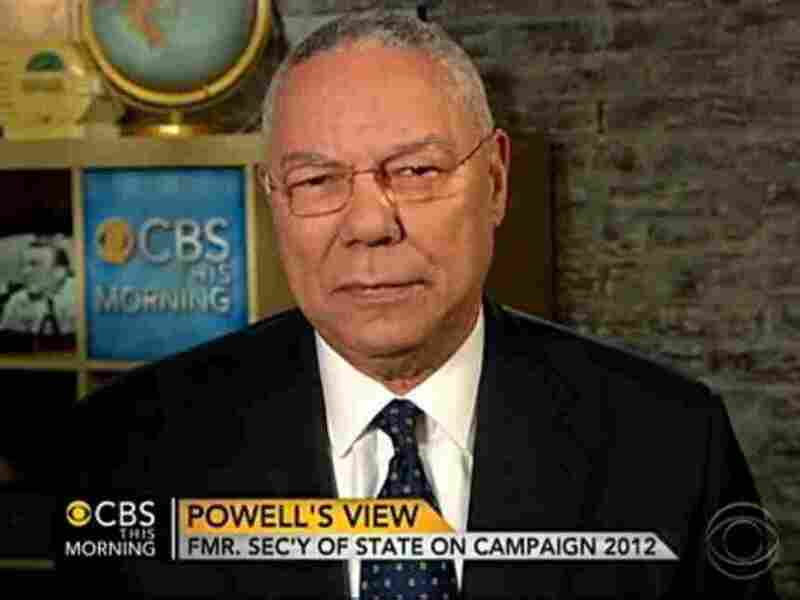 Former Secretary of State Colin Powell on CBS This Morning earlier today. Saying that "I think we ought to keep on the track that we are on" and that fellow Republican Mitt Romney has not "thought through these issues as thoroughly as he should have," former secretary of state and retired Gen. Colin Powell this morning endorsed President Obama's re-election bid. Powell made the announcement on CBS This Morning. The show has been tweeting his comments and has posted video here. Then-Sen. Barack Obama also got Powell's endorsement in 2008. Powell also told CBS that "I'm a Republican of a more moderate mold ... dying breed." For ongoing coverage of the 2012 campaign, see It's All Politics.